Now that level 7 has been finished, I will be adding it to the bulk downloads section over the next few weeks. Once that is done, I will be raising the price of the All Access package from $149.95 to $199.95. For this price, you will get access to all the bulk downloads for all 7 levels, which would normally cost you $349.85. You also get 3 months of online access thrown in which has a value of $49.95 on its own, giving you a $399.80 value for only $199.95. Until the release of the level 7 bulk download package however, those who purchase the current All Access package for $149.95 will get free access to level 7 when it is available. This offer also extends to all those who have purchased the All Access package in the past 2 months, as their access should extend into the release of the new level. I’m considering suspending the creation of new lessons at the end of level 7 (up to lesson 420). The following is my reasoning – however I’m open to any feedback that users may have. It seems that the vast majority of our users are still in the early levels (1 to 3) perhaps. The majority of the bulk downloads are all coming from those areas. However the majority of our production costs are in the later levels and lessons of which, only a small minority of our users are on. I think at this point it would make more sense to shift some of the focus back to the earlier levels and lessons. By this, I mean creating more resources for them to enable students there to progress further. 1. A new version of the CLO site, that is more user and student friendly. I have been releasing hints on the approach I am planning in recent podcast updates. The idea is for students to have better control over the resources they want, to enable themselves to progress quicker in their learning. 2. Rerecording of older lessons to meet current standards. Both these points have taken MUCH longer than I expected. By suspending production of new lessons, I can put more resources into these areas so we can finish them off. There’s also a lot of other work, like creating more sentence builder and other activities for older lessons. I also have some ideas for new features that I would like to do some research on. My thinking is that once I have caught up on these areas, then we can continue producing lessons and resuming with level 8. As mentioned above, I’m open to feedback. If subscribers on extended subscriptions feel that I have an obligation to create new content, then I am open to continuing to do that. However if the same users would rather see me put more resources into the lessons they are currently on (older ones), then I can certainly do that too. I updated the CLO landing page a few days ago, to provide more of an introduction for new users on our course and how it differs from others. I also added some user testimonials to it. There was a problem with members not being able to log in from that page however, so I just added a login link to it. Hopefully this didn’t cause too much inconvenience. It was only 3 short years ago that I began CLO in my basement in Canada, releasing lesson 1 on September 4, 2006. At the time, I wasn’t sure where it would lead or how far I would be able to take it. 3 years later, I am now based in Taiwan with a full time staff of 2 and a part time group of 10 people that include voice actors, a language consultant, a proof reader, a salesperson, a programmer, a cartoonist and a graphic designer. 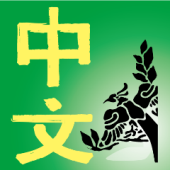 We just released our 382nd lesson and have expanded from the main site to 2 iphone applications and a site for a local university Chinese language center . So what’s in store for CLO in the future? Apart from working on a brand new CLO site, with much improved functionality, I’m working on introducing our model to more Chinese language schools in Taiwan. I’m also building a site for teachers in an American Chinese school to use, and I hope to import some of that functionality into the next version of CLO. There will also be more tools released for the general public to use, that should help Chinese learners in general. I would like to thank all of you for your support over the past 3 years, and hope we can continue this relationship over the next few years! Sorry for the lack of updates here of late. Most of our efforts of late have gone into development for the new version of CLO. Since it will be using a different software system, there is no point in implementing any of the features in the current version since they have to be rewritten on the new system. More details on what exactly you will see in the new version will be released over the next few weeks. Regarding some news close to home here, some of you may have read about the floods and mudslides caused by Typhoon Morakot in Taiwan this past week. While we at CLO weren’t directly affected by it, there are a lot of people in Taiwan who were. As a result, I will be donating 5% of our revenue this month towards Typhoon Morakot relief. If anyone wants to donate money specifically for this cause, please use the donate button below. If you want to know what happens to this money, please read this blog post written by my friend Michael. September 2 Update: Contribution made today – a big thank you to all our subscribers! With the start of level 7, I’m happy to announce some new additions to the course and website. Regarding the course, you may have noticed two new speakers in lesson 361. They will be used for the regular speed dialogues from here on. We will also be inserting them into older lessons. I’m also happy to announce that I have upgraded the site to a new, faster server. This is the second time I’ve had to do so in the 3 years (approaching) the site has been around. This is a result of the site growing and its needs growing with it. The new server should make the site faster and more responsive. It’ll also give me the flexibility to keep adding more features, especially with a new version of CLO around the corner. A few bugs have now been fixed – comments have now been restored – however the music pages are a bit of a mess, so please bear with me as I fix those. Please note that the entire CLO site will be down for 4 hours on Sunday, May 3 from 2 a.m. to 6 a.m. EST for some server maintenance. I apologize for any inconvenience this may cause. Update: You may have noticed some problems with comments not showing up on the main site and the updates blog. Seems like there are some hardware problems on the server we are using, so it will need to be replaced. This involves some extensive backing up and movement of data that may take several days. In the meantime, if you notice any other aspects of the site not working the way it should be, please let me know. As the title says, over the past few weeks, we have updated lessons 148 down to lessons 117 on the site, so feel free to listen them again for review. If you notice any transcripts or online content that doesn’t match up with the new lessons, please let me know. I’ve added a new feature that should show up in any vocabulary page that features a dialogue or article. It is called “Typing Test” and can be found in the same area as the Test Your Pronunciation, Sentence Builder, New Characters and other tools. In the Typing Test, you can hear audio from the dialogue or article of the lesson, and your goal is to type out the lines that you hear. You can type them out in either simplified or traditional characters. When finished, click on “Check” to see if you were correct. Characters that you typed incorrectly will be highlighted in red, so you can try again. You can try out a sample on this page. Here are the steps required to type in Chinese on your computer using a pinyin interface. Follow the steps below for your computer to add the interface. Once the interface has been added, switch to it when you want to type in Chinese. Just type the pinyin (don’t worry about tone marks) of what you want to type, eg. ni hao to type 你好. To see the Chinese, hit your enter button. If the characters aren’t what you want, use the left arrow key to move the cursor to the left of the character you want to change. Other characters with the same sound will be shown and you can choose the one you want. If you have trouble with any of these steps, post a message here and I’ll see what help we can provide. 2. Click on the “Keyboards and Languages” tab on top. 5. Search for “Chinese (Simplified, PRC)” and click the “-” button for more options. 8. A small icon that says “EN” should now appear on the bottom of your screen, just to the left of the icons near your clock. 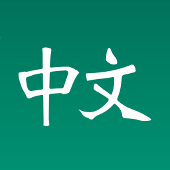 Clicking on this icon should now allow you to switch between English and Chinese. Somewhere in the options, you should see the option to switch to Traditional Chinese characters. a. When you click on the “EN” icon, choose the option that says “Show the Language bar”. You should now notice a new bar on the top right of your screen that says EN English (United States) [if this is your default language setting]. c. At the far right of this language bar, there is a tiny arrow button pointing downwards. Click on it to reveal more options. d. Make sure there is a check mark on the “Character set” option. If there isn’t, click on this option to choose it. e. You should now have the option to switch between character sets (simplified and traditional) by clicking on this new option within your language bar. 1. Go to the Control Panel (usually available from your Start Menu) and click on the “Date, Time, Language and Regional Options” category. 2. Choose the “Add other languages” task or click on “Regional and Language Options” icon. 3. Click on the “Languages” tab on top, if you are not there already. 4. In the “Supplemental language support” section, make sure there is a check mark for “Install files for East Asian languages” and click Apply. If this box is checked, click on “Details” in the top area. 4. 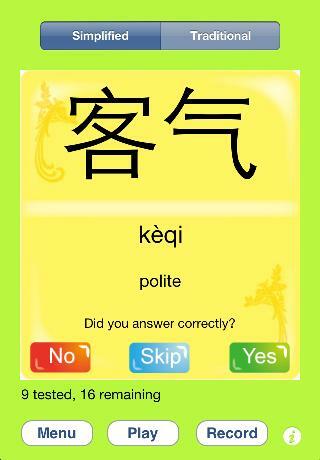 Look for “Traditional Chinese” Within that, there will be a few sub choices, one of which should be Pinyin – select this. 5. After this has been chosen, you can switch between English and Chinese mode by clicking on the flag on the top bar representing language. 6. Alternatively there is a third party program for Mac called QIM Sogou Dict that also provides a pinyin interface for typing Chinese. I found that one better myself, although it costs money. I believe you can download a demo to try it for free. Experiment with the built in Mac version and that one and decide which one you prefer. If you have trouble with any of the above, please let me know. Happy typing! - RSS feeds of older levels: now you can download all the lessons as podcasts and have them categorized properly in your iPod or within iTunes. Our pricing structure has also been updated with a Promotions category that lets you purchase multiple downloads for greater savings. Existing premium online subscribers may be eligible to receive some of these downloads free if they have earned enough credits. As we have mentioned in the past, we have begun a process of updating older lessons. The latest batch is 173~149. The recordings themselves have been updated, as have the associated transcripts. If you notice any inconsistencies, please let us know. I’m happy to announce that the download sets for level 5 of our course are now available on our bulk downloads page. These sets include PDFs, audio flashcards and premium review files. If you are an online subscriber and have been for some time, you may be eligible to get free access to these download sets. Check your member page to see if you have any download credits available, then let me know which download sets you would like access to. For a limited time, the all access package found in the product purchase page will also include access to level 5, which means you are getting a $220 value for only $99.95, a savings of 55%! We will be introducing new download products and redoing our downloads pricing model over the next few weeks, so take advantage of this price while it’s available. Thanks to user feedback, I have added new modes to the Flashcard memorization feature. 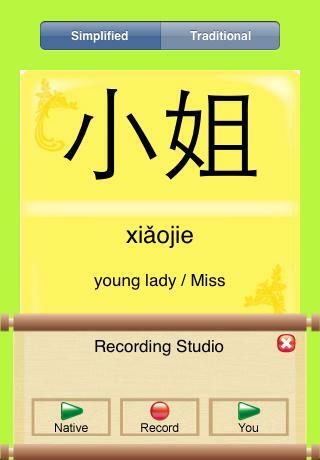 You can now choose to test yourself from English to Chinese or even Audio to Chinese modes. Try it out and let me know what you think. Some of our premium subscribers may notice a new addition to their member pages. Over the past little while we have been adding several download options to the bulk downloads page, many of which have to be purchased. To reward subscribers who have been with us for an extended period, we are giving away free downloads! Take a look at your member page to see how many downloads you qualify for, then contact me and I’ll grant you download access. If you’re wondering what the formula for your download credits is, it’s basically 1 free download ($19.95 value) for ever 3 months of membership that you have completed. If you’re not a premium subscriber yet, perhaps this will be another incentive to become one! There was a problem with some users not being able to view the characters in the text file generated by our export feature. So we have added an HTML option, which lets you view the content within an HTML page. You can then copy and paste the content into any external application that you prefer. This problem specifically affected Mac users, but it’s possible other users also had the same problem so hopefully this solution will help you. If you notice any other problems, or features that you think could be improved to help you, please let me know. Yesterday was a busy day for us as we updated 19 more lessons for you. Enjoy! From lesson 196 onwards, we began using a consultant with 10 years of teaching Chinese here in Taiwan to look over lessons and make sure we were teaching the right material. We are now getting her to go over older lessons and make corrections. This means that parts of older lessons will now be rerecorded and the new versions reposted. The associated transcripts will also be corrected and rereleased. As these get done, I’ll post updates here. We will begin with lessons 195 and work our way down. Today I’m happy to note that 3 new lessons have been updated. Lessons 195 to 193. Expect to see frequent updates here over the next few weeks as we work our way down. The bulk downloads for now will still contain older lessons until we finish the first batch of updates. 1. Previously this page didn’t distinguish from whether you were an existing user or a new one. So existing users were prompted to create new accounts even though they already had one. The new version automatically directs you to your member page if you are logged in. 2. The member page has now been updated to separate subscription options (recurring) from download options (non recurring). 3. A new “Help me decide” option has been added to both the member and purchase pages. Answer a few questions about how you plan to use the site, and you will then be given recommendations on which subscription and / or download options you should purchase. On top, you can see the Chinese characters. At the bottom you can see the pinyin pronunciation. When listening, you first hear the Chinese pronunciation (male voice) followed by a pause, then the English translation followed by the Chinese pronunciation again (female voice). Use the playlist feature in iTunes to create your own sets. The cards can be sorted by lesson number so you can choose how many cards you want to work with and only place those in your playlist, until you have learned them all. You can also use your iPod’s shuffle feature to randomize the order they are played in. 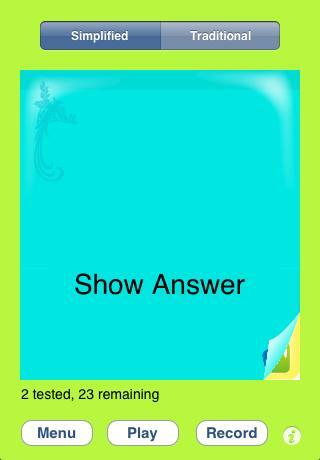 Method 1: View the flashcard and try to come up with the meaning on your own. Repeat after the native speaker before confirming your understanding by listening to the English translation. 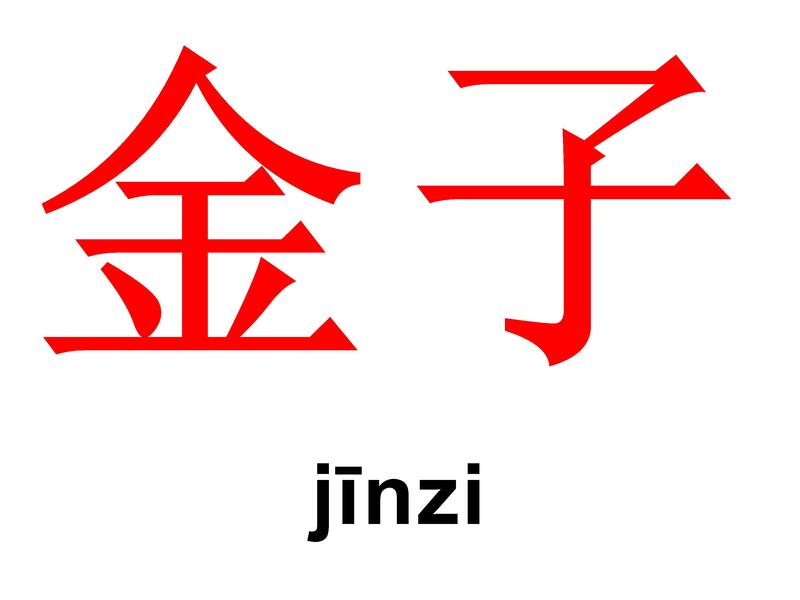 Method 2: Listen to the Chinese pronunciation first, then visualize what the Chinese character looks like before looking at the screen to see if you were correct. Method 3: Turn off the audio and just view the characters. 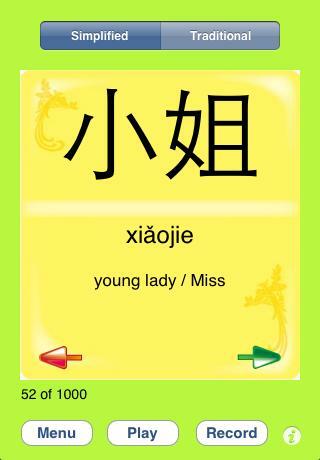 Use your finger to cover the pinyin on screen, and try to come up with your own pronunciation. 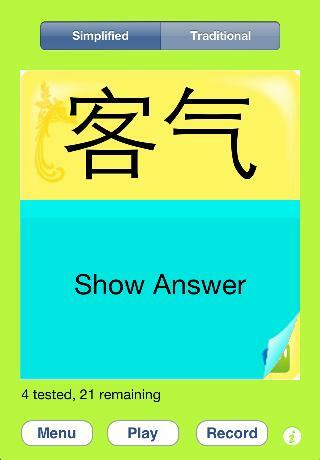 Then uncover the pinyin to see if you were right. Method 4: Use just for pronunciation practice. Let the playlist run and keep repeating after the speakers. Great for in the car or for other passive learning occasions. Method 5: Let it run in the background for an even more passive listening experience. Fall asleep to it and let your subconscious do the learning for you. As you can see, the possibilities are endless. Try out a sample set from level 1. If you like the concept, you can purchase other sets and let me know how YOU use them! We have changed a couple of lines from the original recording, to make the explanations more clear. The lesson and transcripts have all been updated. This updates blog will also be used to mention updates to older lessons. Today’s lesson update is 279. In the original version, the lesson began by talking about weekend activities, but actually only ended up mentioning one – which was a picnic. We have since updated it so that the new topic is just picnics. Feel free to download the new version. All transcripts and PDFs have been updated with the new version. To see other lesson updates, click on this link. Make sure the lesson file you have has a date that is not much older than the lesson update post. I’m happy to announce a simple game to test your knowledge of individual characters. Listen to the character being pronounced and choose it from a list of 30 or so characters on screen. You are given a score based on how long it takes you to answer it. Incorrect answers are penalized so choose wisely! 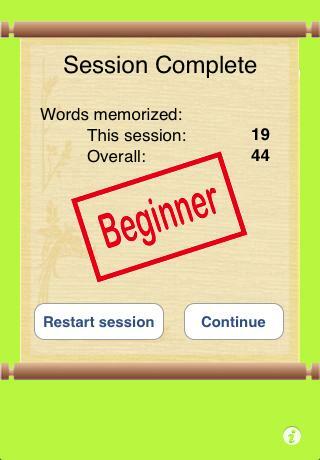 A progress screen shows you your high score for each game you have attempted (arranged by lesson number) and compares it other users who have also tried it. You can try out the game here. Enjoy! There have been a couple of minor updates made, based on observing how people use the site. 1. In the Quick Access bar on the sidebar (appears after you login), and in the word bank we have added some default text for the different modes. Hopefully that will help new users better make use of it. 2. We have added pagination to the bottom of the main page and premium feed page. This way you can go to earlier lessons more directly. If you think of other features / issues (however minor they may seem to you), please contact us. There was a bug that we had in the past, where the site said that you weren’t logged in, even though you were. I believe it’s fixed now, so hopefully that will enhance your user experience. You may have noticed a new “Wordbank” item on the sidebar after you login. It is not functional at the moment, but we are working on having it up as a quick way to access the word bank. I’ll post an update when it is ready. Update: The Quick access bar on the right is now functional and includes an option to search the word bank directly. Enjoy! Due to an internal glitch, the course outline pages for levels 3 and 4 became corrupted, so I have taken them down for the time being. Rather than rebuilding them manually as was done in the past, I’m going to use this opportunity to create an automated version that should hopefully speed up the loading of pages as well. Please bear with me as we work on this. Update: Ok, the pages are up again. The level 2 page needs some formatting, but all the content is all there. Thank you for patience! We have made a few updates to the site design. - You may have noticed a new landing page greeting you when you first get on to the site. Users who are logged in won’t see this page. The idea is to introduce new users to our site with this page, rather than throwing them right in the midst of the latest lessons like before. – Related to this is a (long due) “Remember password” option that has been added under the main login window. – A “Vocabulary” option has been added to the Wordbank. This way you don’t have to specify whether you’re searching for Pinyin, Simplified, Traditional or English – all should work from that field. If not required, the other options may be removed. You will start to see other additions to the site over the next few weeks. More information will be provided here as they are released. As always, please continue to send me feedback on what you like and / or what can be improved. Thanks to your user suggestions, the course outline pages have now been updated to also include the title of each lesson. Hopefully this will make it easier for you to scan through lessons from here on. As always, please keep such suggestions coming.